Asimina Tours is a boutique style, family owned, tour company located in the USA. The most sought-after travel operators are those who can bring visitors into direct contact with local culture and people in a meaningful way. Our goal is to give you the experience to explore parts of the world you have only imagined and to do so with confidence and marvel. Every culture has its own personality. To begin to know it, one must slip beneath the surface of tourism. From our family and team members, we wish to share this with you! ASTA Our membership with ASTA (American Society of Travel Advisors) an advocate for the travel industry, travel agents and the traveling public assures our credibility within the travel industry. BBB Asimina Tours is a member of the Better Business Bureau with "A+" reviews! You are never alone Our representatives are there to offer assistance at all times. This is true for every country featured. Assistance is only a phone call away 24/7. Knowledge & Understanding Rest assured we know our product with over 25 years of experience. We have a high level of expertise with regard to the logistics, hotels, locations, excursions, attractions, food, and whatever other requests may come our way. References Why take just our word? We can provide you with current client references who will give you feedback on their recent travel experiences using our services. Speak to an Expert Travel Advisor Asimina Tours is best known for its Good Old Fashioned Personal Service. We never send you one size fits all types of quotes or travel packages. We tailor make everything to ensure our proposal fits your expectations. We do this by first discussing your travel plans on the phone. Yes, we prefer a phone conversation although if you prefer we also communicate through email. Having a phone conversation and discussing your travel expectations gives us a better feel of what you are looking to experience. We also share our travel experiences and offer you expert advice to ensure a perfect outcome. Plan and Refine After your initial conversation your personal travel advisor will then carefully design your trip into a detailed itinerary personalized just for you. We will also follow up with a phone discussion (or by email) as to why we chose the specific services and to ensure you understand your tailor-made vacation proposal and to answer your questions. Naturally, some adjustments may occur and we’ll keep perfecting your itinerary until you feel contented and all questions are answered at which point you’ll be ready to pay your deposit and confirm your trip. Help as you Prepare After your trip is confirmed and final payments are made it’s time to prepare. You will receive an impressive online travel document itinerary that will showcase your trip on a daily basis. Your online travel document will include all aspects of your trip to include the services you purchased such as hotels, transfers, tours flights etc. Your online travel document will also have details about your destination, personalized restaurant recommendations and best of all you’ll be able to message us 24/7 while you are on your trip. In addition, your online travel document may be printed in a beautiful PDF file or you can download it on your smart-phone and have access to it both offline or online while traveling. We will have a final discussion about 2-3 weeks prior to your trip and will review your travel document together to ensure all your questions are answered. Staying in Touch Our service continues once you are on a flight traveling to your destination. When you are overseas our local partners will be available for you 24/7. Don’t be surprised if you receive a phone call to see “how are you doing”. Sometimes depending on the season, even your own personal travel advisor might be available to stop by and say hello in person. We are there because we care. Welcome Back Our job is not done until your return back from your trip with amazing memories. We will follow up to ensure of your safe trip back home and to hear your very personable and positive feedback regarding your trip. Our job is not done until we hear rave reviews coming from you! We work with all the major carriers and can get you the best available price to be included with your land package. 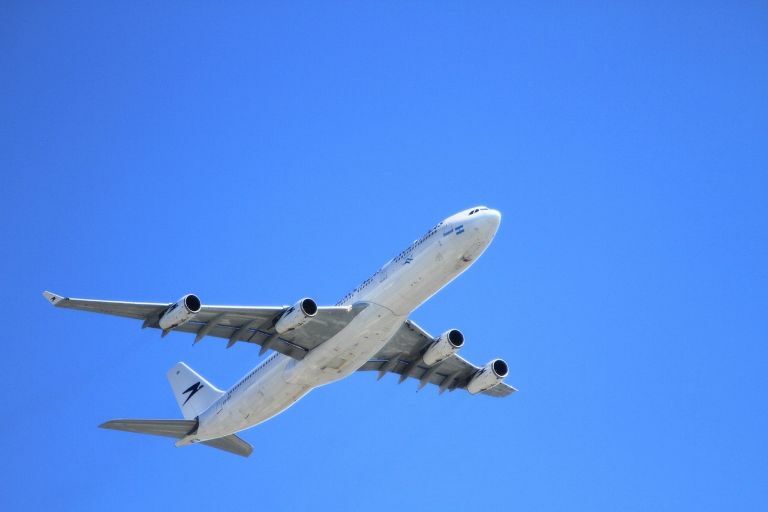 Call Asimina Tours for international air rates or INQUIRE HERE. Asimina Tours specializes in Flexible Independent Travel (FIT) with one-stop convenience. We will take care of all your vacation requests such as Hotels, Transfers, Car Rentals, Sightseeing, Hydrofoil tickets, Cultural Performances, Wine Tasting, Cooking Classes, and more. Have Asimina Tours orchestrate the vacation of your dreams and spend your time enjoying your vacation rather than arranging it! After all, this is our specialty. We have a solid reputation for managing numerous high-end types of luxury travel. For the discerning clients who want the absolute best and to the finest detail or even for those who are on a budget, our carefully selected private services will certainly meet your trip expectations. Our appreciation for excellence derives from the quality and excellence earned for a job well done and all of it is done on a personal level. We work with a collection of cruise lines that include the most popular itineraries visiting Mediterranean locations to Greece/Turkey and Italy. Cruises range from 3/4/7/12 days or more. 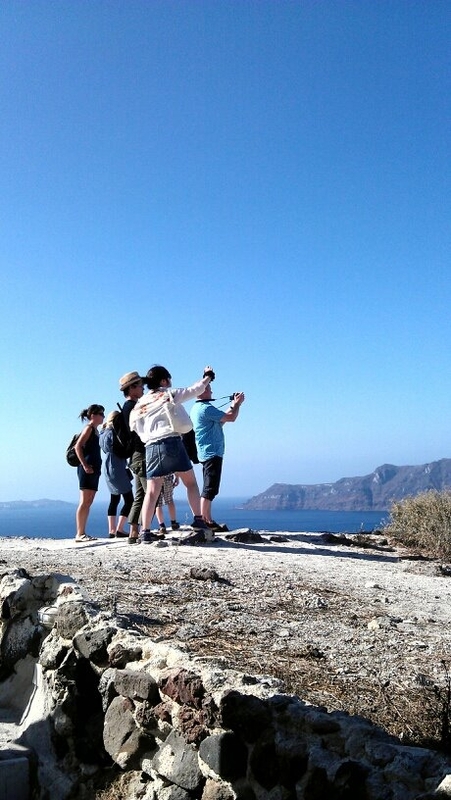 We can also include private & personalized shore excursions to each destination visited. Have Asimina Tours experienced personnel reveal the advantages of taking a cruise to the Greek Isles , Turkey and Italy for a memorable experience! Asimina Tours is here to organize the perfect yachting holiday for you. 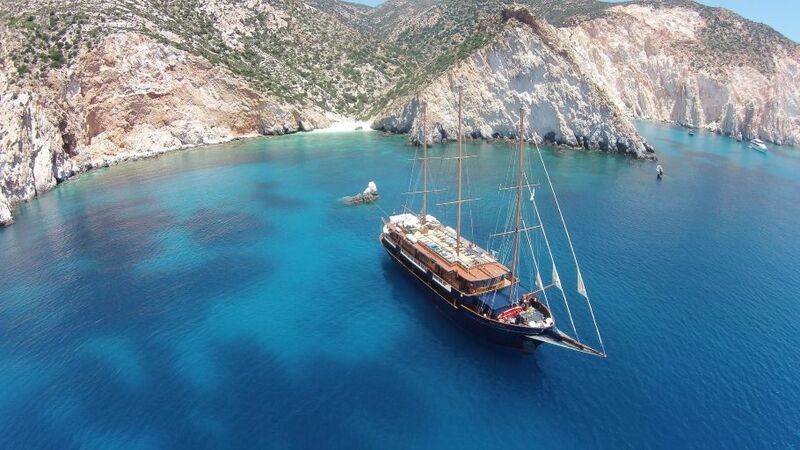 With our experience and network, we are happy to provide skippered and fully crewed yacht charters anywhere in Greece. Don't have the time to rent a yacht for a week but still want to visit some of those incredible island beaches that are only accessible by boat? 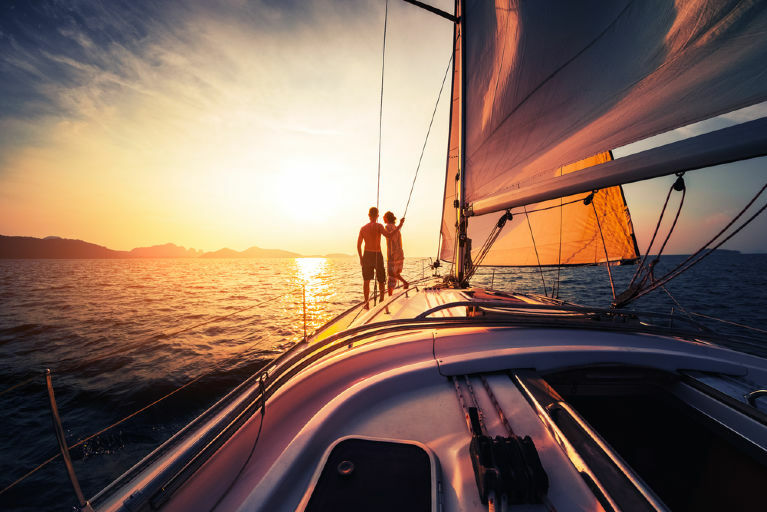 Our one-day sailing cruises are also the perfect solution! We also cater to special occasions such as celebrations or team building trips. We offer only the finest yachts with top quality equipment, the most professional service, and the most dedicated personnel in order for you to be entirely satisfied. Asimina Tours expertly organizes family reunions, small group vacations, small group corporate trip incentives. We also offer two pre-arranged small group themed tours a year, organized by one of our family members or, well connected appointed hosts. Call us to arrange your next Group Travel. 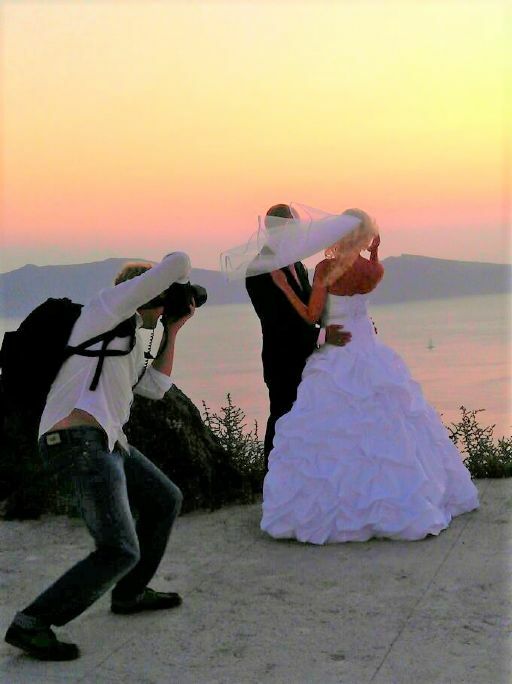 Whether you are interested in a Civil Wedding, or a Vow Renewal Ceremony, Asimina Tours will be happy to provide all the information and care necessary to organize the ceremony of your dreams in Santorini. From translation of documents to organizing the proper paperwork your wedding plans are a piece of cake for Asimina Tours.